I have been down this road too many times. I know the topic I want to blog about, but golly, I just don’t know how to come up with a blog name! I lie awake at night thinking about the things I can write about, but when it comes to naming my blog, I’m stuck! And finally, when I do get a good name for my blog, it’s taken. Has this ever happened to you? 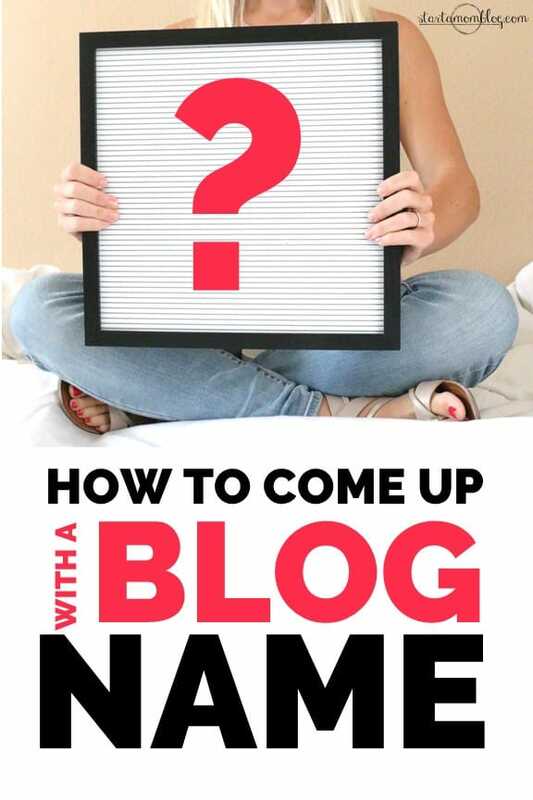 Do you struggle with coming up with a good blog name? If so, here are tips for great blog name ideas. Click on any of the images below to read more about the tip. Can your target audience relate to your blog name? Use words such as “Go, Make and Win” to inspire change. Think of brands like Apple and Google. What things does your audience love that you can include in your blog name? Better get your name before someone else does! 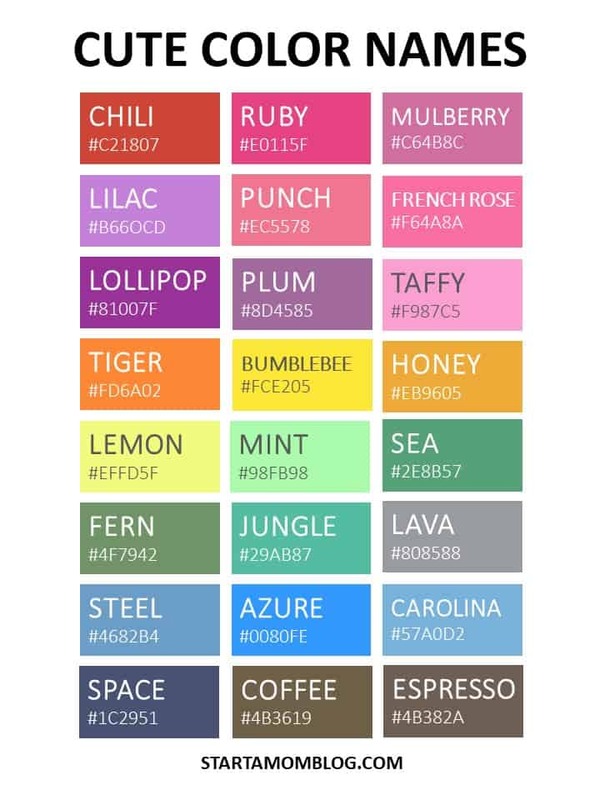 What about an exotic fruit name or fun color? Alliteration makes your blog name easier to remember. PurplePlum anyone? Use two short and easy to remember words together. Is your blog name available on Facebook, Twitter, Pinterest and the Gram? This one magical letter can make your blog name go from good to best! I’ll let you in on a little secret. I have created lots of blogs over the past years. Some of them are well established and successful, others never got off the ground. One of them actually sounded like an R-rated site, but when I bought it, it made all the sense in the world to me, but more on that one later! I have realized over the years that your blog name is important, but it’s not everything. What is much more important than the name of your blog, is the content you put on it. I like my blog name, but I don’t love it all the time. Sometimes I wish I did something a bit more generic, like “Momily”, which sounds super cute. Or maybe, “TheGoodLife“, but that’s most likely taken and does not target my audience of moms. So, “StartaMomBlog” it is! Trust me, I had sleepless nights too trying to come up with a blog name. So if you’re restless and stuck, you’re in the right place, we’ve all been there! Here are actionable tips to help you. *This post contains affiliate links. See my Disclosure for more information. If you can place your audience into your blog name, they’ll instantly know that your blog is for them when they type it into the search bar. Even before they land on your blog, you’ve made a connection with them! If you’re targeting moms, there are a thousand ways you can incorporate the word “mom” into your blog name. Here are a few creative and well known examples, Mother.ly or ScaryMommy.com. 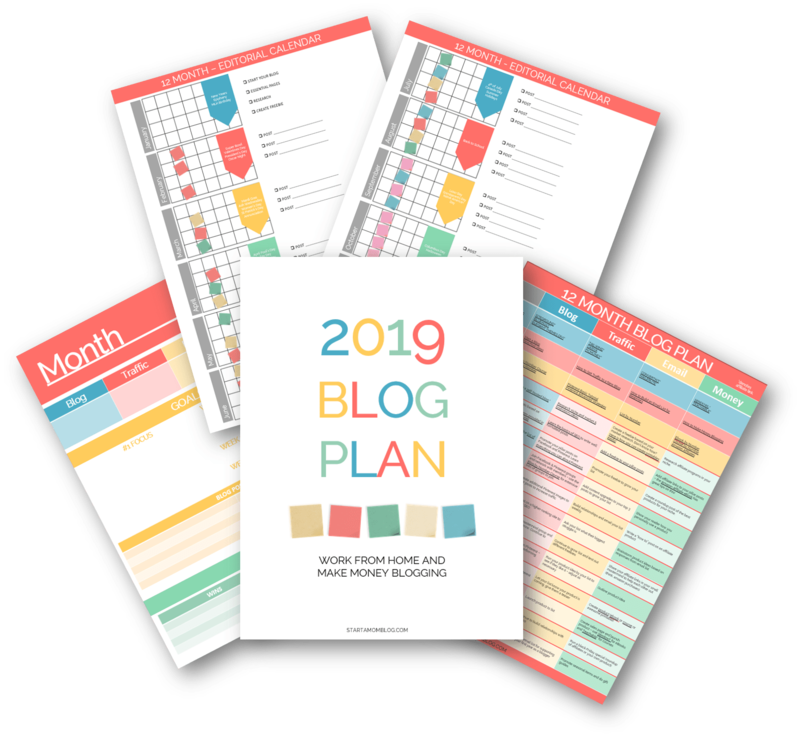 If you’re primarily talking about kids or families, you could place “kids” or “family” in your blog name and still make that instant connection with your audience of moms. I love Susie from BusyToddler.com. Her blog name is gold. It’s short, targets her audience of moms indirectly and you can pretty much make out what her blog is about from the name. For your blog to be successful, it needs to serve a purpose. It needs to compel your audience to action. That may be reading and sharing your content, signing up for your email list, clicking on your affiliate links, purchasing your products or booking your services. Why not create a sense of action before your reader even lands on your blog? You can do this by adding an action verb to your blog name. This is a way you can motivate your audience to take action indirectly. 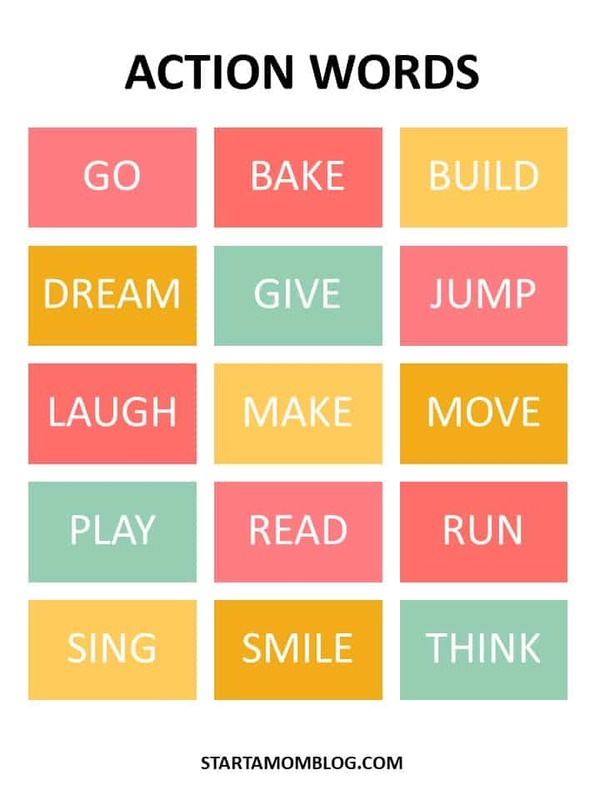 Here are some easy action verbs you can add to your blog name to give it some energy! You can come up with a unique and creative blog name easily by incorporating a word from the list above. 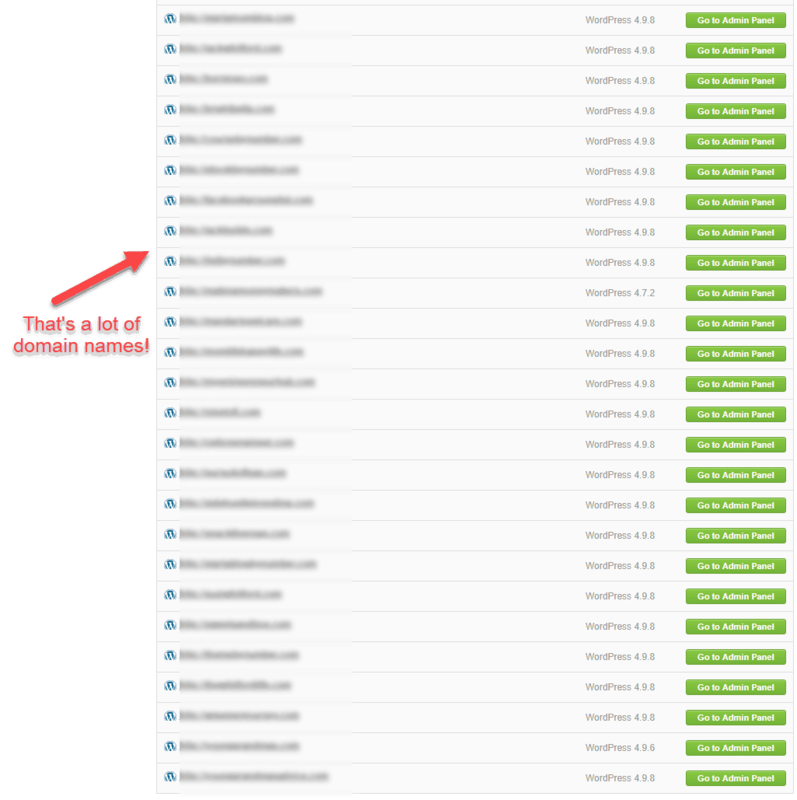 Here are a few examples, NowThatICanDo.com, StartaMomBlog.com, FluentIn3Months.com, ClickItUpaNotch.com. If you’re having a hard time coming up with a blog name, choose a generic name. Think of the biggest site we know, Google.com. That’s not even a word! But the brand is so well known, that the word “Google” is synonymous with “searching online”. Making up your own word also allows you to pick a super short blog name – which is a huge bonus! The shorter the blog url, the easier it is to remember and the faster it is to type in. Keep it simple, short and sweet. Another bonus of choosing a generic blog name is that you can pivot and change directions. Say for example you named your blog, “ILoveBakingCookies”, and after 4 months of baking all kinds of cookies, your husband decides he wants to start the paleo diet. Well, there goes refined carbs! Now if you purchased the blog name “Momething.com” you could have written about anything in the mom world and it would have been easier to pivot. By the way, that domain is still available! You can use this nifty little tool to check if your name is available! Or checkout this cool little website, Wordoid to help you come up with a unique new word. I encourage new bloggers to test out different topics in the beginning. Get your feet wet, write posts about different things and learn how blogging works. But once you know what your niche is, dive deep and stay on topic. A focused, niche blog will rank better in Google than a blog with many different and unrelated topics. Another way to connect with your audience is through objects and places they like. For your blog to be successful, you need to think about your readers constantly. What do they like? What do they want to read? What are they searching for? How can I help them? If your target audience are moms, including words such as “coffee, yoga pants, mom bun, or sleep” could be cute way to connect to your readers. If your target audience are people in corporate, use words such as “on time, meeting, TPS report, or office” in your blog name. When it comes to knowing how to name a blog, focusing on your audience may make it easier. If you’re so lucky and your name is available online, get it quickly! When you fall in love with blogging (like I did) and you realize you’ll be doing this for a long time, you may want to squat on your name so nobody else does. It may be a scarcity mindset, but oh well, when I saw suziwhitford.com was available, I got it! There’s not much on it, but it’s mine! And maybe one day if I rebrand, I’ll know where to go. Sometimes you don’t even have to come up with a blog name, your mother already did it for you when she named you years ago! Thanks mom! The benefits of having your own name as your blog is that it’s unique and branded, but also generic enough so you can blog about any topic. For example, NeilPatel.com blogs about online marketing and whenever someone mentions his name in the blogging world, we all know who they’re referring to. It definitely helps you build a brand! You’re not alone if you’re stuck on coming up with a blog name. Almost daily I get emails from students asking for help deciding what to name their blog. You’re in good company. We all struggle with this part. But maybe looking at examples not on the web can give you a bit of confidence of what is really important. If 100 years ago I said the word “apple”, you would have thought of a fruit to eat. If I say it in 2018, you’re instantly thinking of the brand Apple for iPhones and Macs. If 50 years ago I said the word “target”, you would have thought of an object to hit. Today when I say “Target”, you think mini-mommy vacation! The names of these brands are short and sweet. But the name itself doesn’t even tell you what the store is about. It’s the amazing content that they produce that made these names popular. It will be the same way with you. If you name your blog “Kumquat” or “Mulberry”, the content you produce will make your blog. So don’t be afraid to pick a name and start blogging. If you absolutely love the name Plum for you blog, but most likely, this four letter word is already taken. Try using alliteration. What about PurplePlum.com or PreciousPea.com or CheekyLychee.com? Sometimes a blog name can set itself apart by being fun to say and easy to remember! You may finally find the perfect name for your blog, but then realize it’s already taken. Try adding a little bit of color to it. Even better, add your blog brand color to it! If your blog brand colors are teal and gold, why not GoldCoffee.com or TealPen.com? I know some of these suggestions are a bit bizarre, but I’m just trying to get your gears turning in different directions. Before you buy a domain name for your blog, make sure it is available on the major social media platforms. For Twitter your username cannot be longer than 15 characters, so keep that in mind. You don’t want to be www.PurplePlum.com but end up being PurplePlum_1 on Instagram or ThePurplePlum on Twitter. This one step will save you a ton of headache in the future! Did you know there is a magical letter for branding? Yup! Big brands like Coca Cola, General Electric and Kodak all know the secret! It’s the letter “K”. It is believed to make people laugh and feel happy. And you don’t have to have the letter “K” to make your blog name good. It can also just contain the “K” sound, such as Spanx or McDonalds. Just don’t pick a blog name that can be closely related to a taboo site. So the R-rated blog name I bought, oh golly, I need to make sure I don’t renew that every year! In my defense I had no idea it sounded taboo when I hit purchase. I hope those quick tips help you come up with an easy to spell, short and simple blog name. Go here if you’re stuck on what you should blog about, that’s a whole different topic! Don’t over think this part. 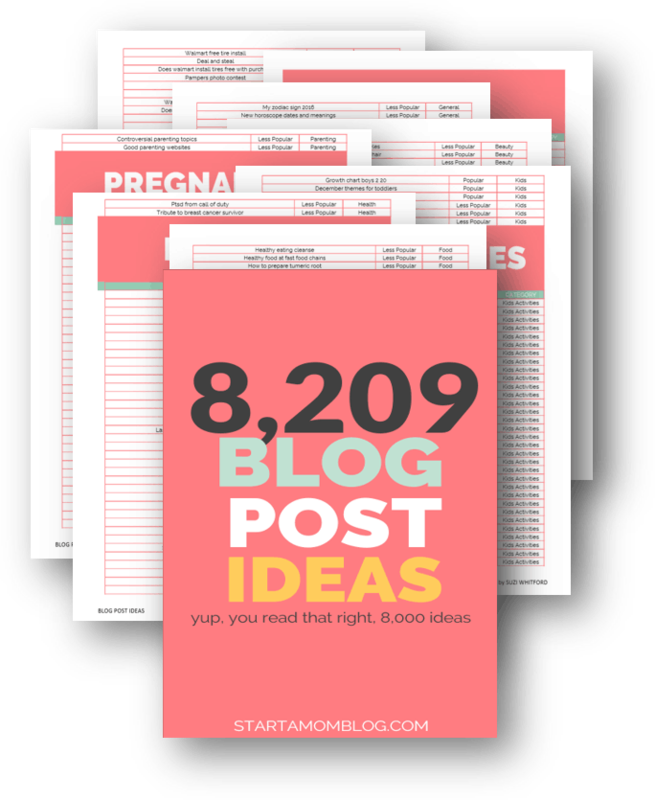 Go with something that makes sense, and start blogging! That’s when the magic happens. Use this super smart widget to see if your blog name available. So let me know below, are you still struggling coming up with a creative blog name? Thanks for this! Choosing a name is hard! I agree Bre! It always gets to me! Thank you!! With your guidance, I have built the blog of my dreams! While it’s still small and growing, I look forward to your blog posts and emails to learn more! Thank you so much McKayla!! Congrats on your success! Good ideas and suggestions! Anyone else want to know what the r rate blog was named?? ? Great post. Good advise. I have decided to use the first letter of my first name and last name. Thinking if i should get a domain for my tagline and forward it to my blog. goMHrecovery or go mental health recovery. Thanks. Ive been struggling with my blog, to get it up and running and go between love and hate of my blog name… this post makes me want to start over with a new cute catchy name like boysenberry! Haha thanks for inspiring me once again! Hehehehe!!! It can happen to anyone! This was a helpful and fun read! This gives me the freedom to not be so attached to the name I want if it’s not available. There are plenty of fun, creative ways get your point across. I especially love the point about checking social media platforms! I already have a blog name & I’ve been trying to launch it for 3 years (?‍♀️). I just purchased your Blog By Numbers Course as well as the workbook & 1 other course. My question is this; the blog name I have is doing well with social media even though I’ve literally only written 1 guest post. My direction has changed & I’d LOVE to change my blog name. Is it too late for that? No. Change early 🙂 If you know you won’t be blogging about that topic in the future, change quickly – instead of wasting precious time working on something you aren’t passionate about. Not really related, but Google is a word – it’s actually the name of a number with a hundred zeros – like a million for a number with 6 zeros 😀 that’s why it’s a clever name for them – because they find A LOT of results yadda yadda..
I’m struggling with which name to go with. My grandmother used to call me Juniper and originally my focus was a blog focusing on family dealing with chronic illnesses )my mom passed away from COPD 2 years ago) and I am starting an Etsy shop with part of the proceeds going to the American lung association. So the name was going to be Juniper’s Hope.